You are here: Home / Mortgage / What are the latest First Home Owner Grant Schemes? Here is the latest information for the First Home Owner Grant (FHOG) by respective states. The NSW state government offers a $15,000 grant for first-home owners who purchase or build a new property valued at up to $650,000. The FHOG was available until December 31, 2013, reducing to $10,000 from January 1, 2014, but the 2013 State Budget extended the availability of the $15,000 until January 2016. The Victorian government offers a $7,000 home loan FHOG for both new and existing homes until from June 30. The FHOG is available if the price of the property or construction of the home does not exceed $750,000. From July 1 a new $10,000 FHOG for newly constructed homes under $750,000 begins. The Queensland government offers a $15,000 great start FHOG for first-home buyers buying or building a new home valued under $750,000. The WA government offers the $7,000 FHOG for both existing homes and new homes. A cap limits the total value of properties (i.e. total value of home and land) to $750,000 or less, or if the home is located north of the 26th parallel to $1,000,000 or less. The South Australian government offers a FHOG of $15,000 for new homes. It also offers a maximum Housing Construction Grant (HCG) of $8,500 to all home buyers (First Home Buyers and non-First Home Buyers) who are purchasing or building a new home with a market value of under $400 000. Above $400,000 to a maximum of $445,000 the grant decreases in increments of $5,000. 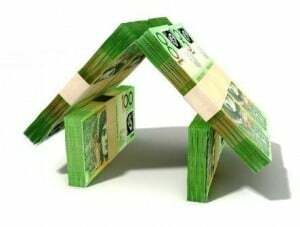 For first home buyers buying an existing home there is a FHOG of $5,000. The Housing Construction Grant expired on June 30 2013. The $5,000 FHOG grant for existing homes expires on June 30 2014. The ACT government offers a $12,500 FHOG to first home buyers if they buy or build a new home or buy one that has been substantially renovated. The Tasmanian government currently offers a one-off FHOG of up to $7,000. The grant is not means tested and there is no cap on the value an eligible home. There is also a First Home Builder Boost (FHBB), a payment, in addition to the FHOG, of up to $8,000. It is available for eligible applicants, purchasing a newly built home or who are owner-builders between 1 January 2013 and 30 June 2014 and who meet the required time frames for commencement and completion of the house. Both these grants will end on June 30, 2014. From July 1 2014, Tasmanian first-home buyers who build or buy a new home (including off-the-plan) will be entitled to a $7,000 FHOG. The FHOG scheme provides eligible first home owners with a grant in relation to the purchase or construction of a home. The FHOG is not means tested however, from 1 January 2010 eligibility ceases to apply if the consideration for, or the value of the home is more than the transaction eligibility threshold (see table below). This includes the unencumbered value of the land on which a home is to be built. The amount of the transaction eligibility threshold is determined based on the commencement date of the eligible transaction. for an owner builder, the date the laying of the foundations commenced. The amount of the FHOG increased on 4 December 2012 in relation to eligible transactions that commenced on or after that date. From that date, the amount of the FHOG also varies depending on the type of transaction and location of the property. An established home is one that has been previously sold or occupied, and is lawfully fit for occupation. the “prescribed area” for the Darwin Rates Act. any other area prescribed by regulation. So no matter which state you are applying for your first home owner grant we can assist you with the application and of course arrange for your finance as well. Here is the latest information for the First Home Owner Grant by respective states.